Today I continue my review of each workout from the Supreme 90 Day program. Like all S90 work outs it uses a common warm up and cool down. 5 sets of 5 30-second exercises with 45 seconds break between sets. Only one time through each set. Pretty good core work out. I expected of all workouts this one would use the ball, but I was wrong. Nice variety of exercises and they were grouped well. There was a hilariously useless visual timer that counts down only the last 5 seconds of each exercise. It just reminded you that it needed a more useful display like a CNN news banner across the bottom to show the current and upcoming exercises. I would definitely do this again, maybe after a run or another work out. Core Synergistics is very similar. 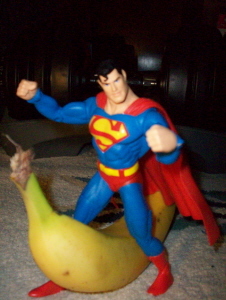 CS has more “fun” exercises (Superman…. Banana!) and is an hour long were as CD gets down to business. I think I give a slight edge to S90 on this one because I don’t think a whole hour of core exercises is really necessary. I’d rather do the shorter core workout more often as an adder to others rather than a stand alone workout once a week.